2 bed 2 Bath condo. --Gated community with multiple pools, workout facility, and grill area. --Fresh paint in entire unit. --Dining room closet converted to a small office. --Newer Washer/Dryer in unit with storage in laundry room. This condo is very clean. It has everything we needed to feel at home. This is the second time we've stayed at Ty's condo and it's just as nice as it was a year and a half ago. It's obviously well maintained and cared for. The beds are comfortable, the kitchen is supplied with enough dishes and utensils to make meals. One of the best features is the sense of security we feel when staying there. The guards at the gate check IDs and we occasionally saw security and maintenance people around the grounds. We will try to get Ty's condo for our next visit to Vegas in September. It's our home away from home! Great place not far from expressway! 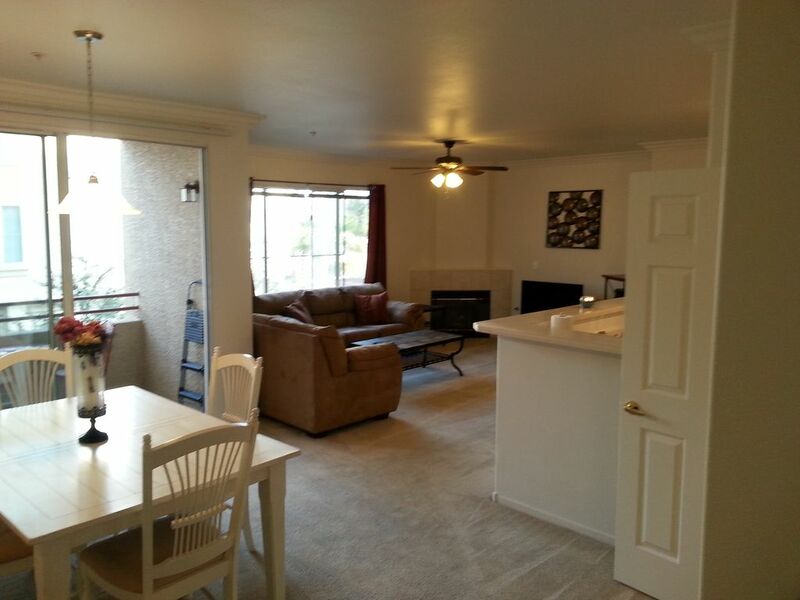 Nice 2 bedroom/bath condo. Has washer/dryer in unit. Parking easy-and the owners are great at communication! Cable only in living room but there are smaller TVs in the bedrooms. A short drive to grocery store, as well as restaurants. The strip and the airport are about 30 minutes away. Enjoyed our stay very much. Do wish the televisions in the bedrooms were functional. Parking was easy. Washer and dryer in unit is very convenient. Owner is very responsive. Only downside is the heavy traffic on Durango makes it difficult to enter and exit the complex. Would stay again. Condo was very nice, my parents and my wife liked it. Very well maintained. The place was so nice and clean. I loved every part of it.